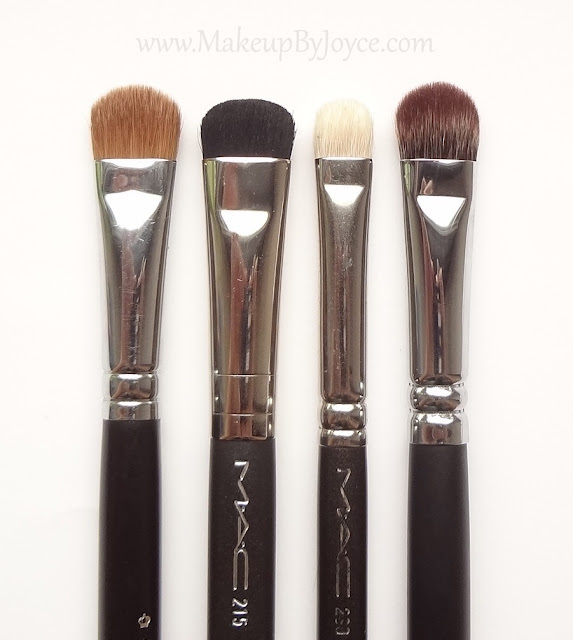 MAC recently launched the Face and Body Fall 2012 Collection, which includes the limited edition 215 Medium Shader brush. The 215 is bigger than the 214 (review) and smaller than the 227. The head of the brush is short, dense and made from natural bristles. The bristles feel soft (not scratchy at all) and they're not extremely stiff like the MAC 214, which irritates my lower lash line. Generally, brushes that are made from natural hair should not be used with cream products because they absorb alot of product and don't apply as smoothly as a synthetic brush does. Both the Royal & Langnickel BC410 and MAC 239 are made from natural hair and are ideal for packing on powder products. The Royal & Langnickel BC411 is made of synthetic material and is more suitable for applying cream products. 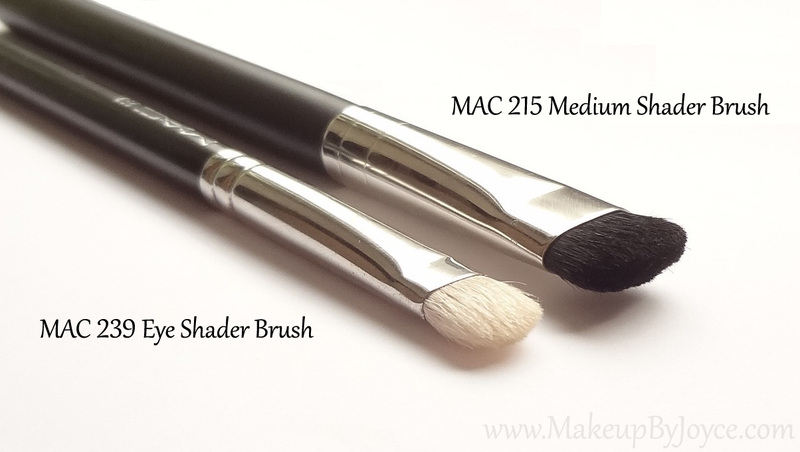 The MAC 215 is more versatile and works well with both cream and powder products. It packs on color nicely and applies evenly without any patchiness or shedding, regardless of the type of product being used. The size of the brush can be an issue, depending on how small your eyes are and how you hold the brush. When I hold the brush horizontally, I find that it covers a huge portion of my eye. However, when I hold the brush vertically and at a slight angle, it covers my lids perfectly. When using powder products, I prefer to use a fluffier and rounder brush to blend because the 215 is too dense for that purpose. It ends up blending away the product. However, it's great for softening the edges when using cream products. Bottom Line: I love the uniqueness and the versatility of the MAC 215. It's not like any other natural hair shader brush that I have tried because it can be used with both cream & powder products. I love to use it for applying & blending cream bases, packing on powder eyeshadows and highlighting my browbone. This brush has become a staple in my collection. Note: The MAC 215 Medium Shader brush measures 6.60 inches, while the 239 measures 6.5 inches. Both retails for $25 on Nordstrom. The Royal & Langnickel BC410 measures 6.25 inches and retails for $15.99, while the BC411 measures 6.5 inches and retails for $10.99 on their online store. 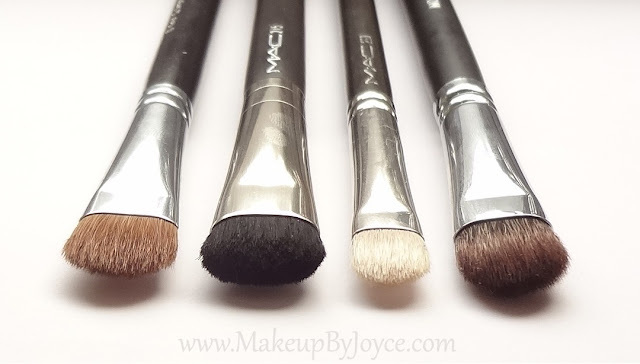 What brush do you use for applying cream & powder eyeshadows? If you want check my blog!